The male and female have noticably different appearances. The Dark Brahma being more different than the Light Brahma. In the males of both breeds, the saddle feathers are striped with black protruding tail feathers. The females do not have striped saddle feathers. 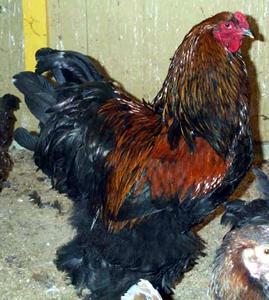 In addition to other differences, the Dark Brahma male has a black breast, whereas the female has a silvery penciled coloration. All Brahmas have a light colored head. In 1924, Buff Brahmas were also admitted to the standard. 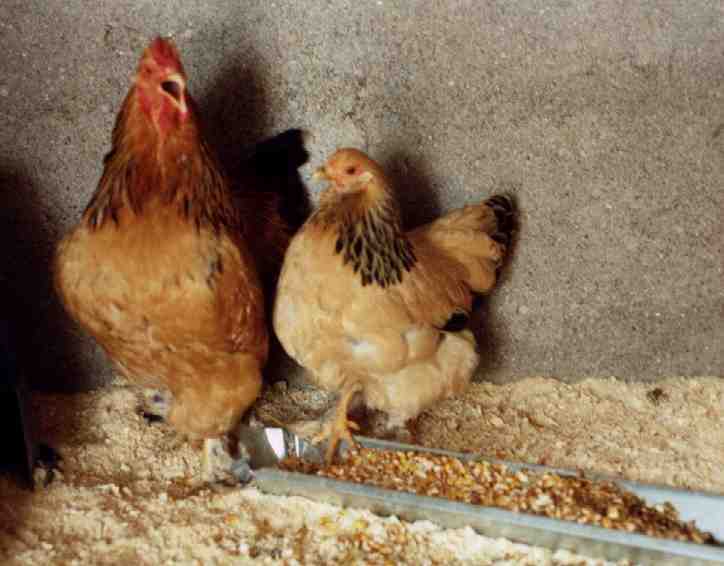 These are virtually identical to the Light Brahma with the exception of a buff coloration instead of white. The three varieties of Brahmas differ somewhat in weight and plumage patterns. 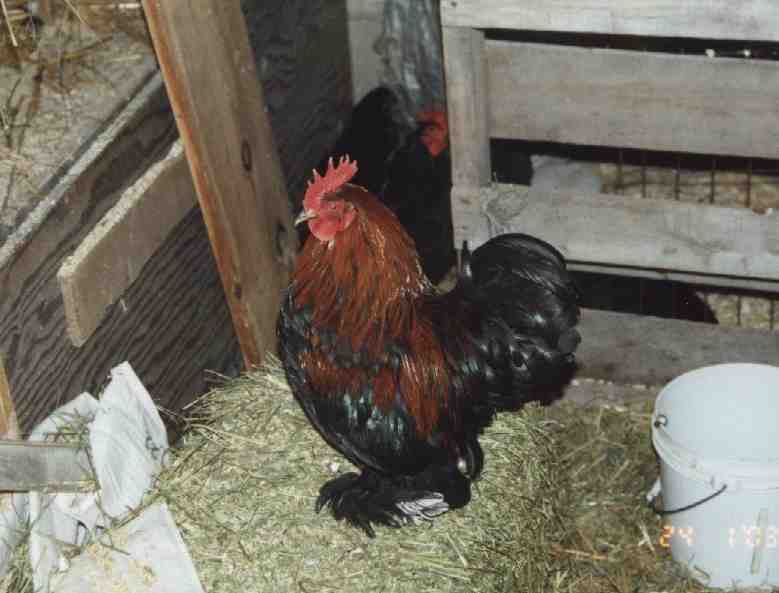 Brahmas lay brown eggs and are very gentle. This is my first two I baught at an auction. This is Shaw he is a black/blue buff i think. i aquired him as is well he needed some conditioning and now as is i think I want to show him. if you have comments or questions please e-mail me.